Blog post in partnership with the Texas Living Waters project of the National Wildlife Federation. This post highlights the conservation work of Van Dyck Earthworks and Design LLC. I was very honored to have one of my projects at Little Barton Creek Preserve featured on the blog of Texas Living Waters organization recently. I love their moto “Fresh water, forever.”. Texas Living Waters is a collaboration of conservation groups working to ensure fresh water will always reach its natural destinations. For our wildlife, our economy and our kids. They are working to help keep our springs and rivers flowing year round and protected for future generations. 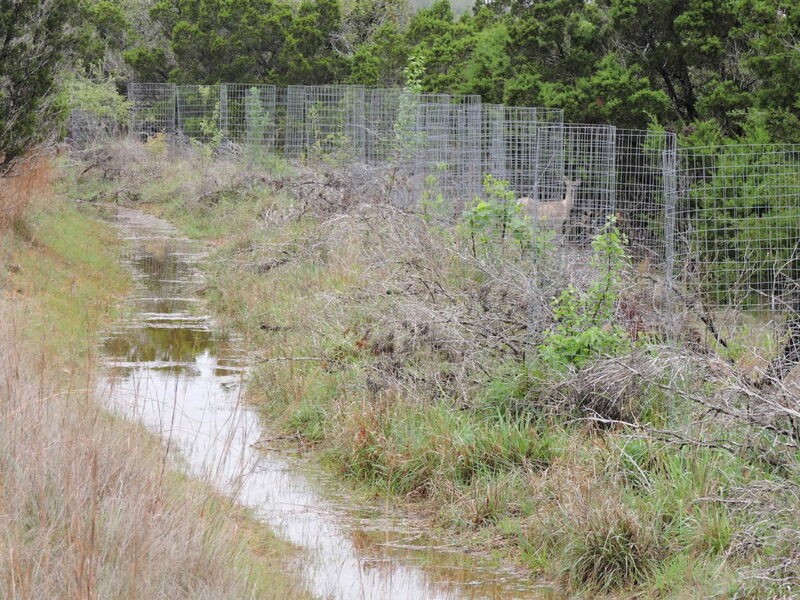 Little Barton Creek Preserve is a privately-owned conservation easement in Dripping Springs, Texas that is dedicated to habitat restoration. This area of Texas is rapidly developing and at risk of both severe drought and flooding conditions. With our help, the family managing this conservation easement has taken creative measures to mitigate these risks and increase wildlife habitat at the same time. Basins were dug, eight feet wide and nine inches deep, in contour patterns across the landscape for a total of 1,400 linear feet. The berms were then seeded with a diverse mixture of native grass, wildflower, and cover crop seeds, which were then covered with a protective layer of compost and mulch. Next, the berms were planted with 40 species of native trees, fruit trees, and pollinator forage trees. Today, this conservation terrace is well on its way to becoming a richly diverse and abundant food forest for both wildlife and family managing the land. Please visit the Texas Living Waters blog to read the whole post!